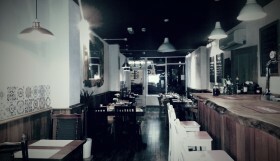 To celebrate the opening of its new restaurant, the Bella Italia team invited us to taste-test the summer menu at the newly opened Brighton North Street branch. 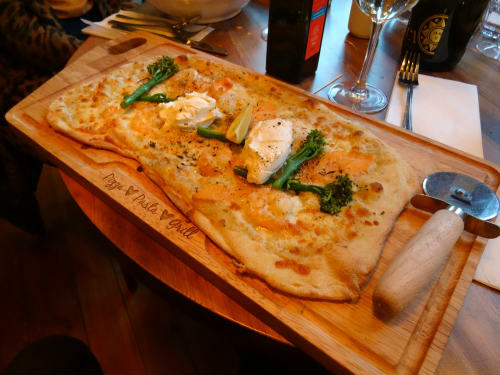 Bella Italia has long been a favourite of the affordable high street dining scene, guaranteeing crowd-pleasing pizzas and a decent bowl of pasta. 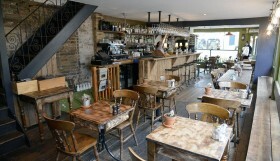 But it has also come to be seen as a safe option – hardly an obvious choice for the daring diner. 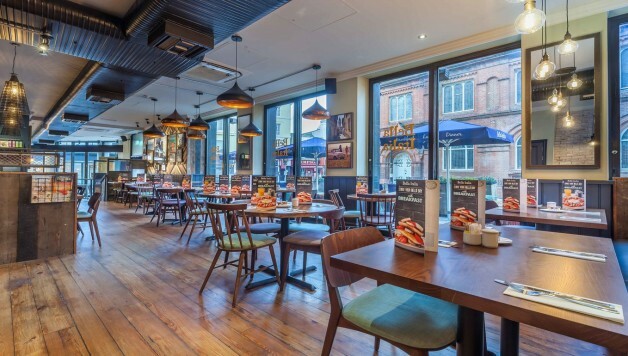 Recently, though, the popular high street chain has had a revamp, ushered in perky new décor for all its restaurants, and launched a number of new dishes based on traditional Italian specialities. To celebrate, the Bella Italia team invited us to taste-test the summer menu at the newly opened Brighton North Street branch. 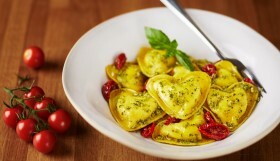 This effort to update is clearly designed to help Bella appeal to a wider market, and the restaurant’s new foodie-oriented menu marks a conspicuous move towards including more authentic Italian influences. Pepperoni pizza and spaghetti Bolognese devotees need not fear; classic pizza and pasta dishes are still proudly featured, but now options such as lamb shank and the Italian antipiasti sharing board offer more authentic flavours too. 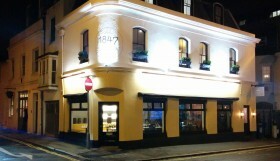 Also notable is the move towards catering for more health-conscious diners and those with special dietary requirements. Gluten-free options are plentiful and clearly marked, as are those dishes that are under 600 or 300 calories. Pasta can even be swapped for wholewheat versions or spiralised veg spaghetti, made from golden beetroots, courgettes and carrots. Our meal opens on a bubbly note, with aperitifs of Aperol spritz and Da Luca prosecco with limoncello. 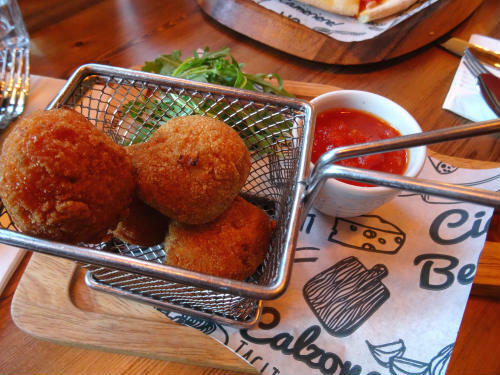 From the starter menu, we try the new arancini peperonata: crisp fried balls of risotto, sweet with grilled peppers and oozing with stringy mozzarella. 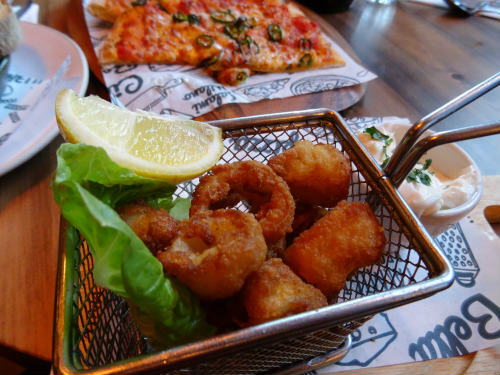 We also order petite rings of tender calamari in crunchy batter, and plump king prawns sizzling in olive oil, garlic and chilli. 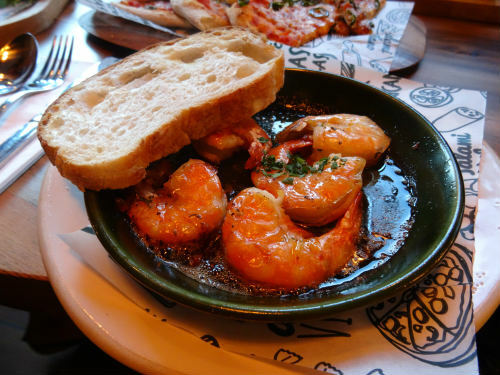 The dishes are served as individual portions but are ideal for sharing, so we eat them tapas-style, alongside thin slices of hot pizza bread slathered with fresh chilli and garlic butter. We keep it classic with our main dish of calzone stuffed with tender chicken breast and fiery Italian sausage. It’s rich, meaty, and clearly one of the mainstays of the Bella menu for a reason. The new Roma pizza, by contrast, is made with a thinner, wonkier, hand-stretched base, and topped with the fresher flavours of salmon, prawns and a hint of lemon atop a base of béchamel sauce. Our light, Italian bistro-style dish of sea bass is cooked simply but beautifully, and served with roast new potatoes, roasted veg, black olives and a vibrant salsa verde. For dessert, a member of the Bella staff recommended that we try the new shot glass desserts, tiny pots of puddings such as pannacotta, strawberry cheesecake and salted caramel mousse, all clocking in at under 300 calories each. 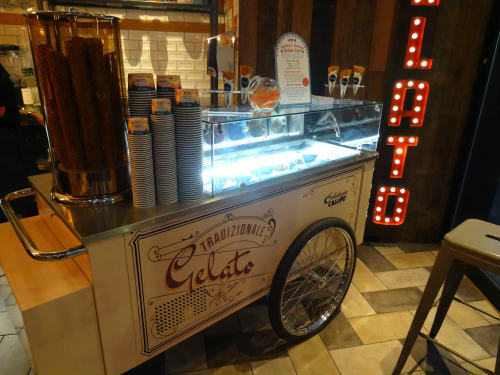 Like children, however, we eschew this restrained option and elect instead for ice cream sundaes from the gelato bar, topped with an extravagant mixture of whipped cream, popping candy and caramel sauce. Bella Italia has unquestionably upped its game. Though the restaurant will no doubt continue to be a family favourite, with its updated look and fresher, lighter dishes, it’s also likely to a attract a broader range of diners. Bella’s still a crowd-pleaser, but the crowd has got a little bit bigger. The company in this post has paid to feature on WLB because they believe that their product, business or event would be of interest to our readers and we think so too!